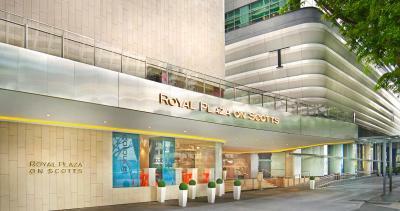 Lock in a great price for Royal Plaza on Scotts – rated 8.5 by recent guests! The lobby area was clean and spacious with a nice fragrance. Breakfast was nice with may choices. 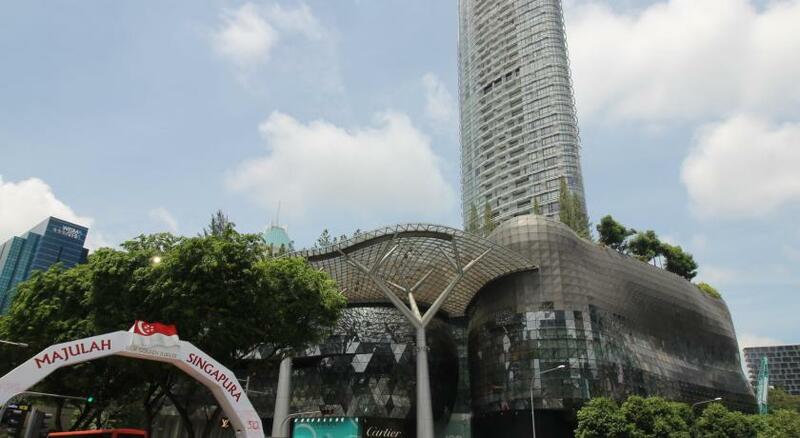 Location was good and close to MRT and shopping malls. 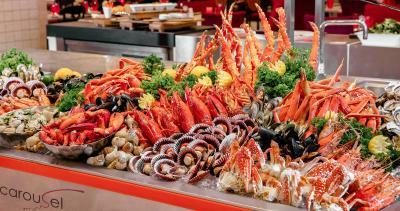 We love the choices in the buffet breakfast. The taxi comes any time of the day. It’s near to shopping malls most specially the DFS. The guest can forgo your so-called breakfast. Demanding to charge for the breakfast because a promo had been going on was an outright nonsense. Location is superb. 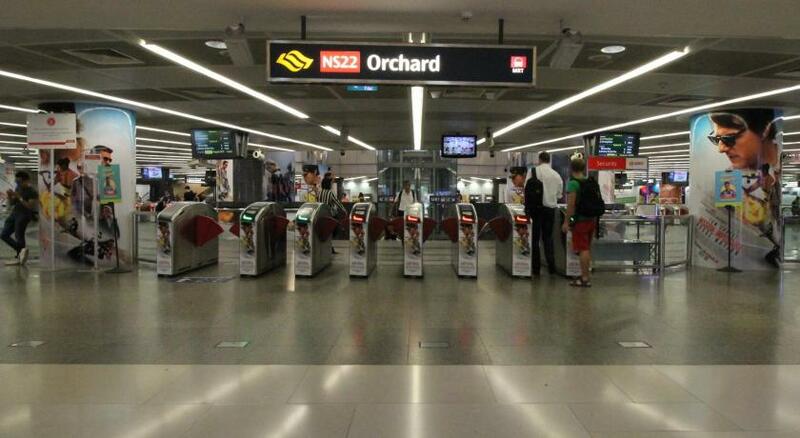 Close to Isetan and Orchard road. Room is very spacious. The deluxe plus room was spacious, clean, and nice! Royal Plaza on Scotts This rating is a reflection of how the property compares to the industry standard when it comes to price, facilities and services available. It's based on a self-evaluation by the property. Use this rating to help choose your stay! 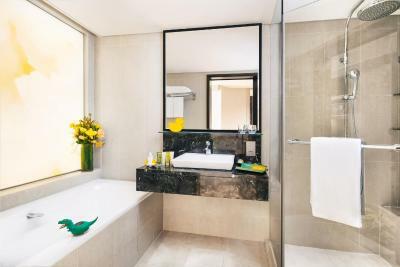 One of our top picks in Singapore.Within 5 minutes' walk from popular Orchard Road, Royal Plaza On Scotts features an award-winning buffet restaurant and nonsmoking rooms with free internet access for multiple devices. 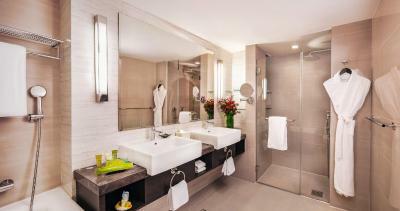 It offers an outdoor swimming pool, a 24-hour fitness center and internet lounge. Union Pay is accepted here. When would you like to stay at Royal Plaza on Scotts? 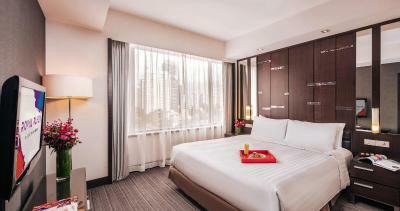 Spacious room features a free minibar and Dream Bed with 320 thread-count linen. A Nespresso coffee machine and free hi-speed Wi-Fi access for multiple devices are provided. Features Royal Club Lounge access where afternoon tea and cocktails are served, mini-bar with snacks and a private bathroom with shower facilities and a bathtub. Complimentary gourmet Nespresso coffee replenished daily and free local calls are provided. No extra bed is allowed for this room type. Please proceed to the Concierge desk at the lobby upon your arrival for priority check-in at Royal Club. 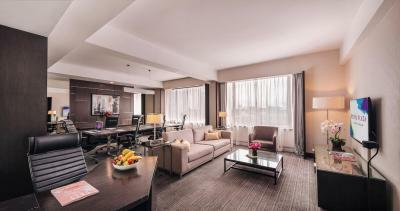 Room comes with free hi-speed Wi-Fi access for multiple devices. This family suite features a living and a bedroom, and is fitted with 1 king-sized bed and a sofa. Guests can enjoy free WiFi for up to 4 devices, free daily mini-bar and gourmet Nespresso coffee. Large room features a free mini-bar and Dream Bed with 320 thread-count linen. Luxurious bathtub is fitted in the bathroom. 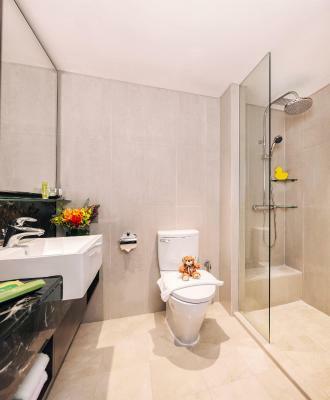 Fitted with 2 plush single beds, this room offers complimentary daily replenished mini-bar and Nespresso machine. The private bathroom features premium toiletries. This spacious air-conditioned suite has a living room fitted with a flat-screen cable TV, sofa, iPod docking station and a desk. It is equipped with a Nespresso coffee machine, Bose speakers and a projector. 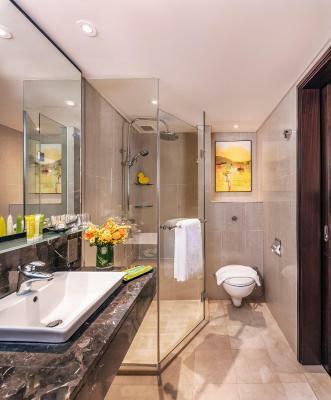 The private bathroom includes a separate deep-soaking bathtub, a rain shower, a hairdryer and free toiletries. The complimentary mini-bar is replenished daily. Guests enjoy access to the Royal Club Lounge. House Rules Royal Plaza on Scotts takes special requests – add in the next step! Royal Plaza on Scotts accepts these cards and reserves the right to temporarily hold an amount prior to arrival. I would love it if the breakfast Dim Sum station has more choices. Smells in the lobby, minor defects with plumbing and drainage. House keeping was prompt in attending to the defects. Reception staff was matter of factly and everything was a no. Bathroom and bedroom could be cleaner. Back walls was the view from the room. Pricey hotel in comparison. Convenient to shops and eating places.